Is your garden attractive to look at and a joy to sit in, or is it a jumble of unrelated features and difficult to maintain? If it’s the latter, then we at The Garden Company can help you make the most of this important asset, by creating a garden to suit your lifestyle. Our clients frequently come to us with a variety of challenges to create their perfect environment. 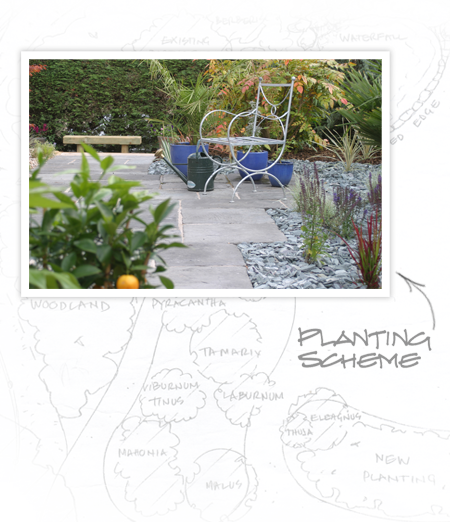 Experience has taught us that effective planning is essential to creating the garden you would like to see. We listen to your needs. We bring fresh ideas and a new perspective. We can provide sensible advice and cost effective solutions to practical problems. © 2019 The Garden Company. Powered by WordPress.